Audio marketing is growing in popularity and it could be a very important aspect of your content marketing in 2018 and beyond. 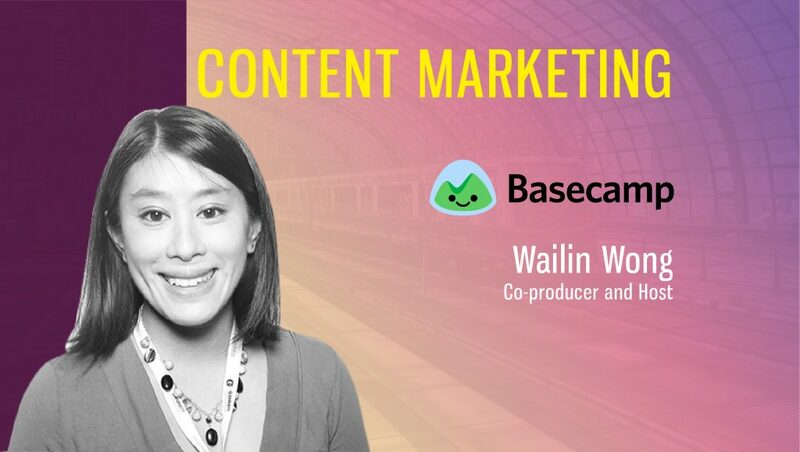 In this interview, Wailin Wong, an audio content marketer/podcast host at Basecamp, tell us what audio content strategies and benchmarks you should follow to make podcasts more relevant and engaging. Tell us about your role at Basecamp and how you arrived at this position? I co-produce and host Basecamp’s podcast, Rework, based on Jason Fried and David Heinemeier Hansson’s book of the same name. 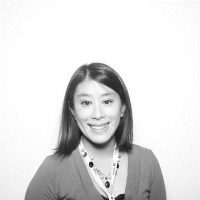 I was a business reporter at the Chicago Tribune when the opportunity came up in 2013 to join Basecamp. I was hired to launch and run The Distance, an online publication that did reported feature stories on long-running businesses. We turned The Distance from written stories to a podcast in 2015. In 2017, we wound down The Distance after 50-plus episodes and launched Rework. Like pretty much everyone else, we use social media (Twitter, mostly, and Instagram too). One neat tool we’ve tried in the past is something that WNYC developed and open-sourced. It’s called an audiogram, and it turns a snippet of audio into a video so it can be shared on social media. That’s a nice way to provide a sneak peek of an upcoming episode or to highlight a great moment from a current episode. What benchmarks do you follow to make your podcasts more relevant and engaging? If the Y ends up being “that X exists,” that is a clear sign that the story isn’t working. In the vast majority of cases, the mere fact of a person, product, or company’s existence is not an angle. That’s the beginning of a story, not the story itself. Audio can be punishingly linear—you can’t assume that listeners will skip back to catch something they missed—so you have to give your audience a reason to stay tuned. The “something new” could be a music cue, a revelation, a twist in the narrative, an emotional high, or some kind of transition. We don’t adhere to this rule in a strict way with our podcast, but it’s an important guideline to keep in mind. It’s why editing and listening to an episode a lot is important. If I find my mind wandering, it probably means our listeners will get bored at that point too. 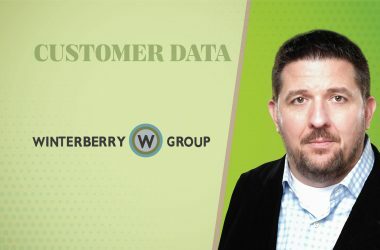 Which customers are best suited to leverage podcast as a marketing strategy? My advice for anyone—not just a company—considering a podcast is to really nail down what your show would be about, and consider how it might stand out from others in its category. You should also think about why audio is the best format for the information you want to deliver. For me, the strengths of audio are its warmth, intimacy, and immersiveness. Are those qualities that would best serve your message, or would you reach the same audience or accomplish the same goals with a written piece or video? There’s no reason to jump into podcasting just because it seems like the popular thing right now. In fact, that’s probably a great reason not to do it. Would chatbot platforms benefit from podcasting? I think a podcast made by chatbots would be an amazing experimental art project! But I’m not sure that the pros/cons of podcasting would be different for a chatbot company than anyone else considering the medium. How could advertisers leverage from podcasting investments? How do you ensure that your audio content is free from fake news and malvertising? 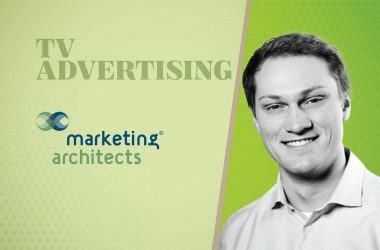 I’ve never been on the advertising side and we’ve never taken outside sponsorship for Rework or our previous Basecamp podcast, so my knowledge of the benefits for advertisers comes from reading about the industry. From my understanding, the benefits are a more intimate connection with potential customers—especially when hosts read the ads or wax poetic about a product or service they’ve enjoyed—and the ability to take advantage of dynamic ad insertion. As for fake news? We are living in an age when there are very real, malicious groups knowingly propagating fake information that causes actual harm and erodes trust in a strong, ethical free press. That’s the fake news that we should be worried about, but instead the term gets glibly applied to any information that someone dislikes or doesn’t want to engage with. I have over a decade of professional journalism experience and I draw on the same skill set and ethical standards for my current job. I ensure that my audio content is free from “fake news” by being good at my job, which is to say: I am skeptical. I do a lot of research. I check my facts and vet my sources. I try to stay conscious of my own biases so I’m aware of how they might creep into my work. I stay curious and ask a lot of questions. Thanks for chatting with us, Wailin.